Choosing the right product for your color treated hair can be confusing. Different haircolor services have different effects on different hair types, but talking to your stylist about your hair health and color goals will help you land on the right decision that’s tailored to you. 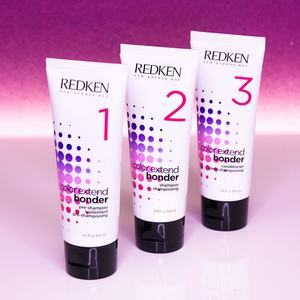 To help get you started, we talked to expert Redken Artists and colorists to explain which cases you need which color care product for and how to use them to achieve your best possible hair. Don't forget that keeping your haircolor looking it's best doesn't end with shampoo and conditioner! Using a vinegar rinse for hair helps boost shine. What Is Color Extend Bonder? 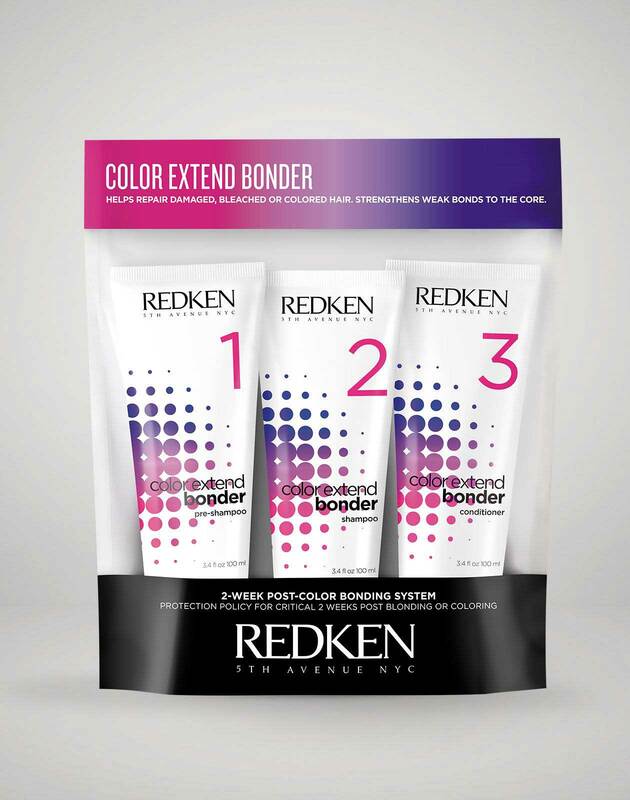 Color Extend Bonder is a three-step, intensive at-home treatment for color-treated hair. 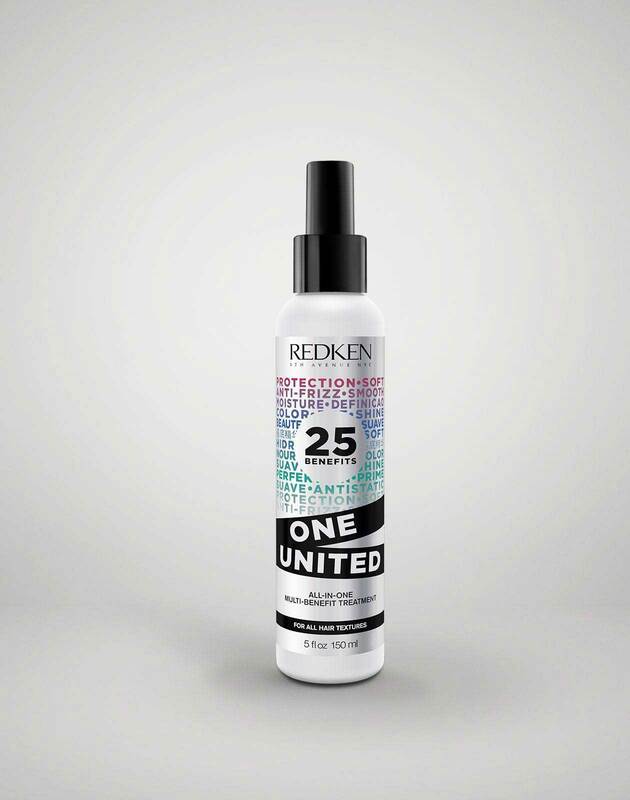 Redken Artist Marie-Eve Raucher says it’s a guarantee that clients will go home from a color service and have a little bit more protection for their hair, especially two weeks after a service, when the hair is in its most fragile state post-color treatment. What Does Color Extend Bonder Do? 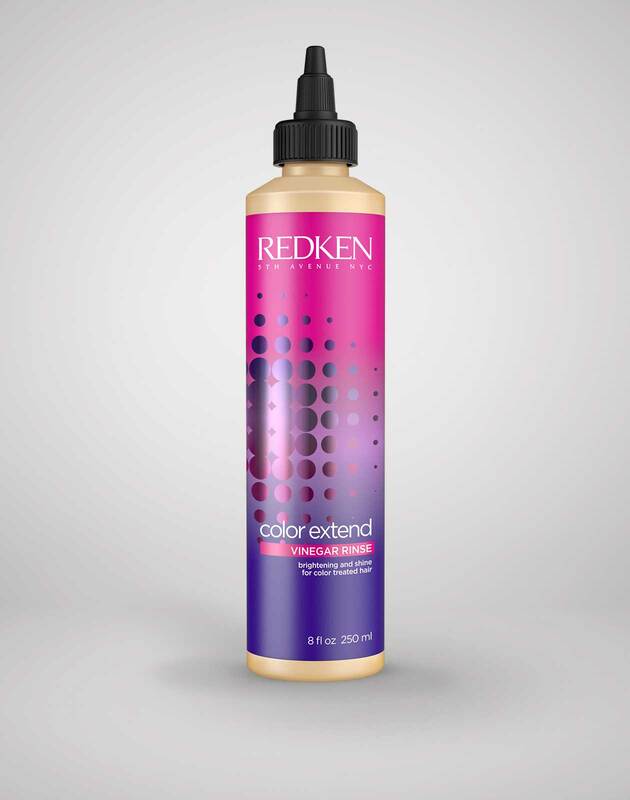 Redken Artist Cody Mittendorf says that Color Extend Bonder keeps your color lasting longer, your hair bonds strong and sealed, your pH bonds replenished and your overall look much shinier and prettier. Who Is Color Extend Bonder For? Anyone who colors their hair can use Color Extend Bonder. How Do I Use Color Extend Bonder? What is Color Extend Magnetics? 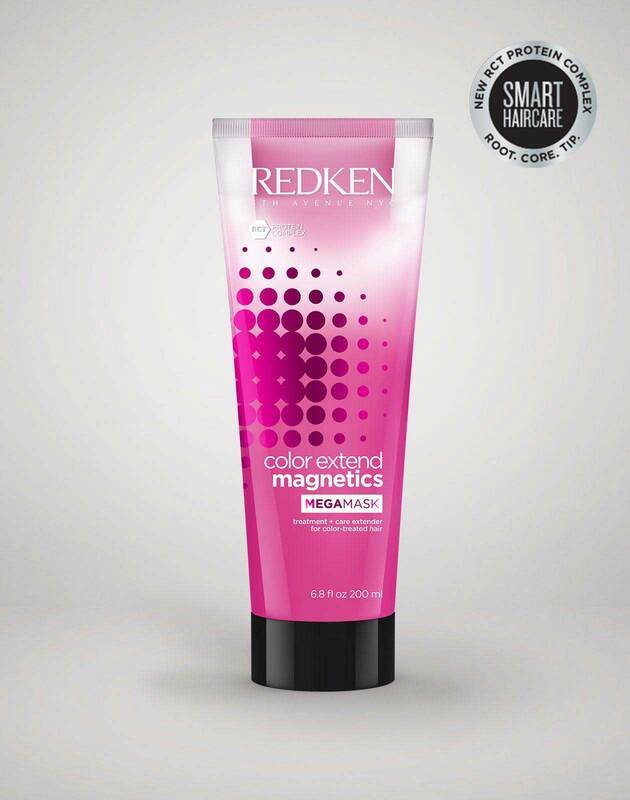 The Color Extend Magnetics Collection includes Shampoo, conditioner and a mask from Redken’s line of SMART haircare products that use a three-protein complex of soy protein, arginine and sepicap that protects your color. What does Color Extend Magnetics Do? 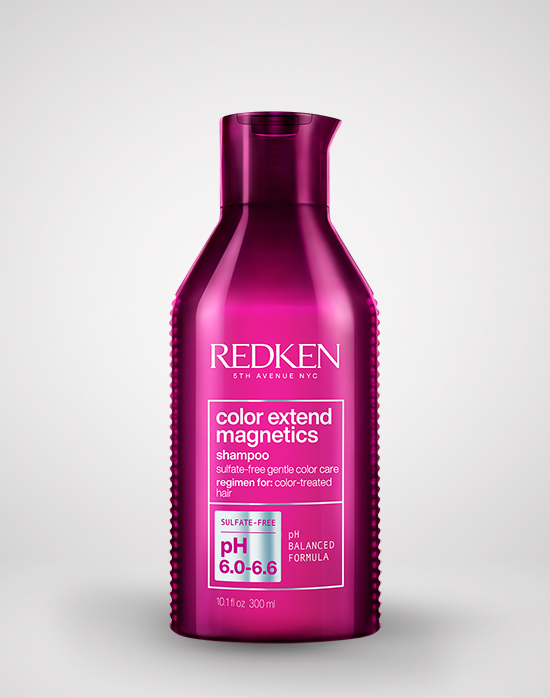 Color Extend Magnetics shampoo is sulfate-free, so it doesn't dry out the hair or strip it of any natural oils essential to keeping the hair healthy and the color vibrant. The mask gives your hair an intense, deep conditioning it needs to keep your color lasting longer. 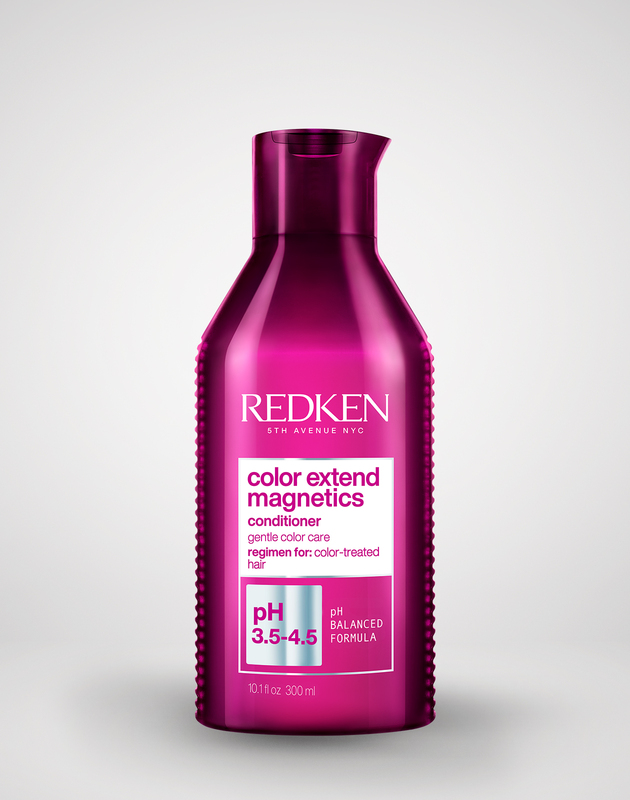 Who is Color Extend Magnetics For? 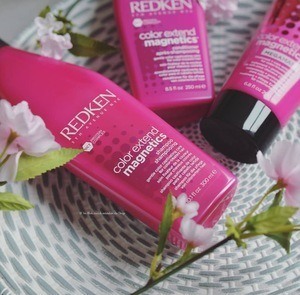 Redken Artist Marie-Eve Faucher says Color Extend Magnetics products are perfect for those with healthy color-treated hair who want to keep up their hair’s health and extend their color. How do I use Color Extend Magnetics? Replace your shampoo and conditioner with Color Extend Magnetics and use regularly, which will help extend your color, Cody says. Add the mask into your regime if you’re in need of some extra conditioning, maybe every third wash, applying it to towel-dried hair after its been shampooed. Leave it on for three to five minutes and then rinse. What is Color Extend Blondage? The Color Extend Blondage Collection includes a violet-tinted shampoo and conditioner made with a triple-protein complex. What does Color Extend Blondage do? Color Extend Blondage acts as a toner for blonde hair in between services, keeping blonde hair from fading or getting too brassy in color. “It has protein built into it and toning capabilities so your blonde clients can fight breakage and fading,” says Cody. 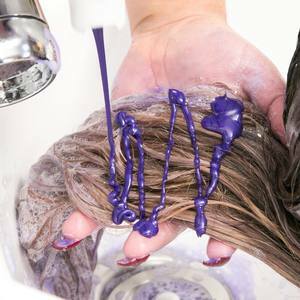 Its purple tint cancels out any unwanted yellow tones that may come up in between color services. Color-treated blondes should use Color Extend Blondage. Use Color Extend Blondage Shampoo & Conditioner in place of your regular shampoo and conditioner once or twice a week. It’s as simple as that! Who Is One United For? Anyone can use One United! However, this product is especially good for those who bleach or color their hair and are prone to tangles post-shampoo and conditioning. How Do I Use One United? Use it after shampooing and conditioning, on damp hair, to prep the hair for styling and hot tools. A few spritzes will do the job. Try it in between washes to give a blowout or styled hair a little refresh. Mix it into a mask or leave-in treatment. Try it as a detangler or, if your hair is super fine, use it as your conditioner, just be sure to rinse it out. ARE YOU LOOKING FOR MEN'S HAIRCARE? Find out the best shampoo for your hair type. 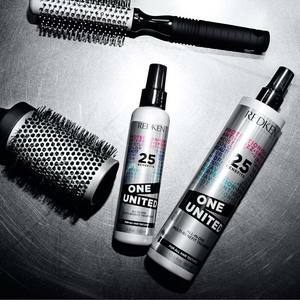 Hairstyling, haircut and haircolor options for men have evolved in recent years and the new Redken Brews collection is a direct result. Learn more about the next generation of men's essentials, Redken Brews.